It is pretty well known that Earth has a magnetic field. 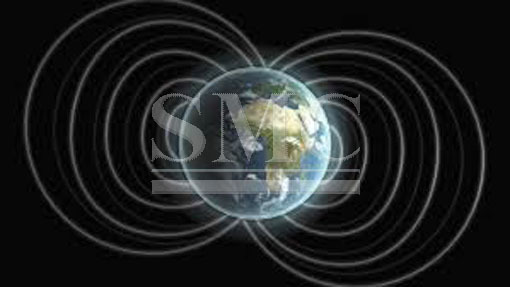 This magnetic field extends from the deep interior of the Earth all the way to to outer space. This geomagnetic phenomenon can be easily demonstrated via the use of a compass. While the existence of the magnetism is obvious, the cause is not. Scientists know that the iron in the molten core in combination with the rotation of the planet builds up a “dynamo effect”, however, the iron concentration alone cannot account for magnetism. Recently a team of researchers at Wurzburg University have developed a new theory suggesting a revision to the widely believed geo-dynamo theory. The research team led by Prof. Alessandro Toschi, Prof. Karsten Held (TU Wien), and Prof. Giorgio Sangiovanni published calculations in the scientific journal “Nature Communications”, stating that Earth’s core contains up to 20% nickel. Nickel, a metal used for its strength, electrical conductivity, and malleability, behaves very differently from iron. Earth’s core, roughly the size of the moon, is as hot as the surface of the sun, and has the pressure of hundreds of gigapascals. Under these extreme conditions scientist believe that the metals may behave very differently than they are familiar with. They think that the heat produced in Earth’s core must find a way to escape. In order to do this hot materials rise up to Earths other layers, which causes convection currents to form. These currents in addition to the Coriolis forces created by Earth’s rotation make a spiraling flow of material. Alessandro describes the effects of the two phenomena working in unison stating, “When electrical currents are created in such a system of flows, they can cause a magnetic field which in turn increases the electrical current and so forth -- and finally the magnetic field becomes so strong that we can measure it on the surface of Earth". Prior to this new theory it was unknown as to how these convectional currents formed in the first place. Now that it is realized the different properties demonstrated by nickel under those extreme conditions, the important role nickel plays is clear. It is responsible for causing the currents to emerge rather than internalize in Earths interior. According to Toschi, "[soon] these improvements of computational material algorithms will also lead to exciting forefront applications in chemistry, biology, industry and technology." With increased knowledge and understanding of how the planet works comes improvements and innovations in technology.